theQuestion: Wrong on gun control? 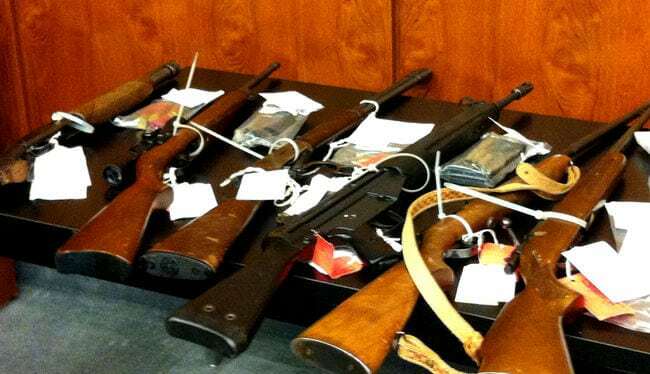 If you are a firearms owner or plan to be one, then there is much for you to be concerned about regarding the ever-escalating political battle over guns in Canada. With calls for an outright ban on legal handguns from city councils in Toronto and Montreal, along with the federal Liberal government’s proposed tightening of gun laws under Bill C-71—it’s clear that gun control advocates are gaining the upper hand in Canada. And believe me, I should know; I used to be an advocate for gun control. Keep in mind that I was not a gun control activist, just a columnist with a position on the issue which, at the time, was anything but conservative. Boy was I ever wrong—about all of it. Frankly, I am more than a little ashamed of the column, as I believe that I knew, even back then, that my arguments were boilerplate progressive and calculated to engender goodwill from left coast readers in Vancouver. It seems that I am not immune to pandering. What changed my position? It was the awful realization that progressives were all too happy excusing the worst abuses perpetrated by radical Islam, while at the same time working to destroy the bedrock values underpinning western civilization. I realized progressives and progressive-led governments are simply uninterested in protecting me. Their only concern is for the welfare of the community, not the individual. The obvious problem here is that the government owns the monopoly on the legitimate use of force within the state. Meaning, every individual living in Canada, under the law, has abrogated the vast majority of their individual rights to defend themselves. In return, the government is obligated to provide protection for each individual. This is an obligation that I no longer trust progressives to live up to. For me, it’s simple: I isolate those who yell the most hysterically and then ask what issues they are braying about. I know the same people who are wrong on climate change, transgenderism, and equality of outcome are the same people propagandizing that western civilization is poisoned by toxic white male patriarchy, riddled with racism and beyond redemption. Inevitably, these are the same people who scream the loudest for gun control. You know what? I don’t believe in the same things you do. So, take your gun control and shove it.